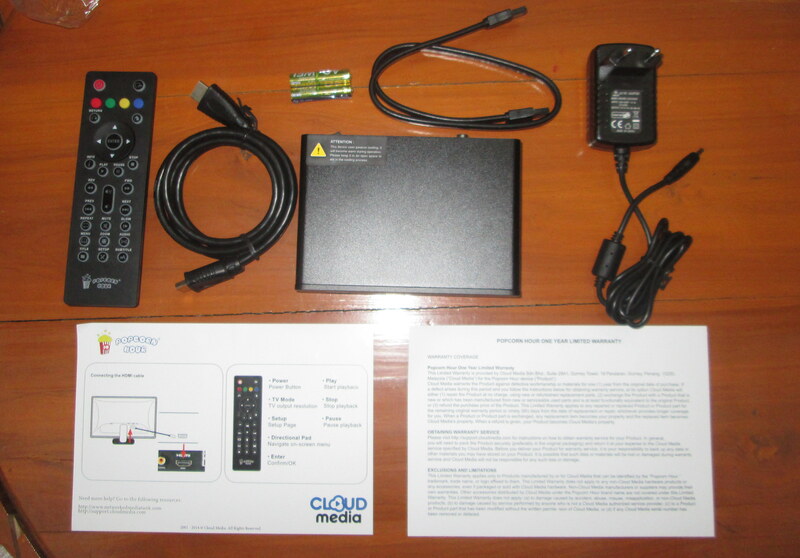 Cloud Media (aka Syabas) sent me their latest Popcorn Hour VTEN media player. It supports HDMI output up to 4K, H.265 video codec, and features an eSATA connector, as well as optical and coaxial S/PDIF connectors. 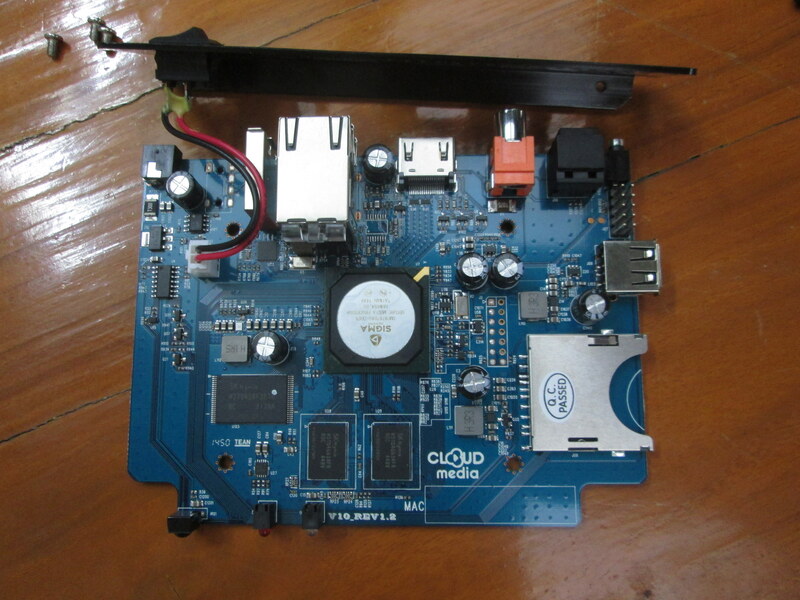 Today, I’ll show some pictures of the kit, and teardown the box to checkout the hardware, and in a few days, I’ll report on the user interface, video playback, and HDMI audio pass-through capabilities. The unexpected device was sent via Fedex in the package shown below. It lists some of the key features such as H.265, DSD (Direct Stream Digital), FLAC, Matroska, UPnP, 3D, and 4K Ultra HD support, as well as the specs, and more features and package content in English, French, Italian, Spanish, German, Dutch, Swedish, and Danish. The box comes with an IR remote control and two AAA batteries, an HDMI cable, a SATA cable, a 5V/3A power supply, a quick start guide, and a warranty document. The device itself looks very similar to Open Hour Chameleon, as they basically used the same metallic enclosure. 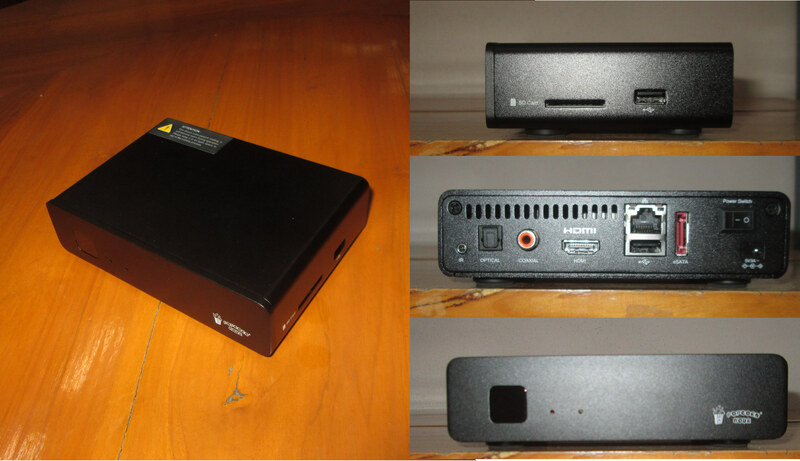 VTEN (aka V10) media player comes with two LEDs and the IR receiver window on the front panel, an SD card slot and a USB 2.0 host port on one side, with the rest of the port all available on the rear panel: an IR extension jack, optical and coaxial S/PDIF output, HDMI output, an Ethernet port, another USB 2.0 port, the eSATA port, an On/Off switch, and the power barrel. Opening the case is pretty easy, as all you need to do is to loosen four screws on the bottom. The only interesting bit on this side is the MAC address with 00:06:DC prefix looking-up to “Syabas Technology (Amquest)”. 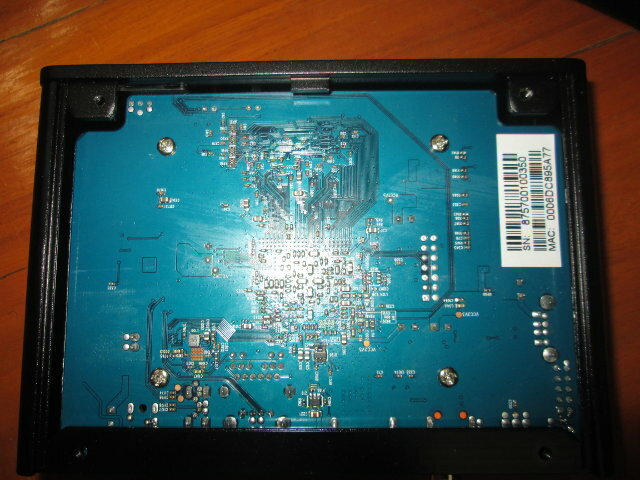 To completely remove the board from the enclosure, you need to loosen two screws on the rear panel, and the four screws holding the PCB in place, before sliding the board out. Just like with the Chameleon. 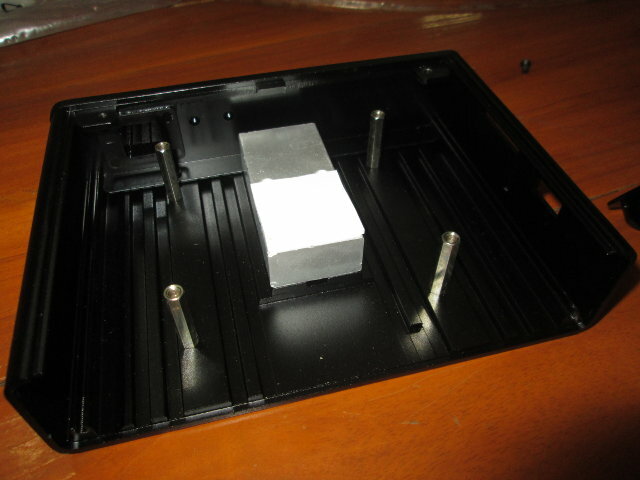 thermal design has been neatly done with an aluminum ingot screwed to the metallic enclosure, and a thermal pad providing contact with the Sigma Designs processor. The full name of the processor is “Sigma Designs SMP8757B80-CBE3 Secure Media Processor”. An SK Hynix H27U4G8F2ETR NAND flash provides 512MB internal storage, and two SK Hynix H5TQ4G63AFR DDR3 chips 1GB system memory. One of the two headers might provide access to the serial console for some hacking. There’s no wireless module for WI-Fi or Bluetooth, so an external USB dongle is required if you need wireless connectivity. Hehehehe is this company still alive after fiasco with past models? Still doesn’t support running Android OS as they promised to be available at launch? And still does not support CEC (HDMI-CEC) inside XBMC/Kodi under Linux suppose? Burned once with the popbox and them dropping it never working right. Never again. At this price it is a non-starter compared to other, more vetted options out there. We’ll wait and see and maybe it is a smooth and rock solid OS/Firmware and it will be THE device to get but I somehow doubt it given their past record and horrible track record with the software side of the house. 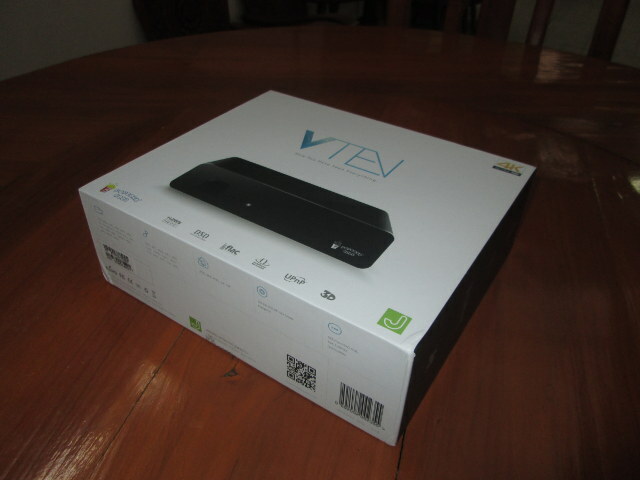 There’s no Kodi in that box, only their “jukebox” app (Not 100% sure of the name). The only interesting bit on this side is the MAC address with 00:06:DC suffix looking-up to Syabas Technology (Amquest).